Located at la Saline les Bains on Trou d'Eau beach, the Pirates du Lagon club is the first club approved by the National Federation of beach clubs (FNCP). Chlidren are surrounded by a team of trained coordinators doing outdoor activities in a park of 1500m², while parents can attend to their affairs. 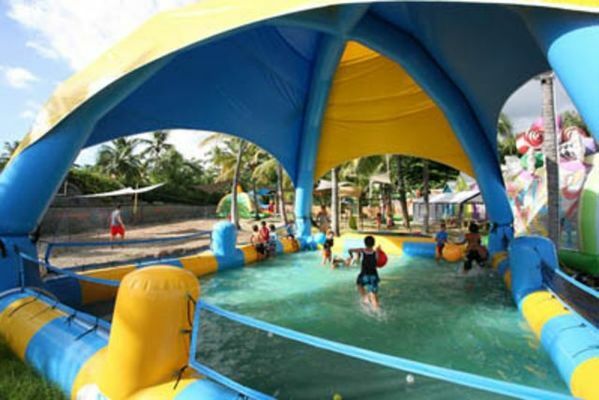 On the site there are diverse inflatables, a large wading pool,zipline, gamesand more game for children from 3 to 11 years old. In addition to the slides, play areas and teaching material the club offers activities such as : ball sport, rackets, archery. During school holidays : Monday, Tuesday, Thursday, Friday from 7h3 a.m to 6 p.m during school time: Monday, Tuesday, Thursday and Friday from 4 p.m to 6 p.m. Environment / Access : At the entrance of the Trou d'Eau beach.